CBC is reporting that "A man in his 50s is dead after he was found shot in the upper body in Montreal's Notre-Dame-de-Grâce district this morning. 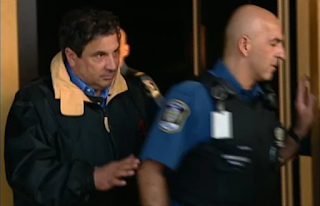 Multiple sources have confirmed to Radio-Canada the dead man is Tony Magi, a businessman with known ties to the Montreal Mafia." The Montreal Gazette is reporting that "Magi, the construction entrepreneur who once had close business ties to Montreal Mafia leader Vito Rizzuto, was kidnapped in April 2005 and survived at least three subsequent attempts on his life, died shortly after he was taken to a hospital after having been shot." Magi owed money. The Montreal Gazette claims his death was inevitable.